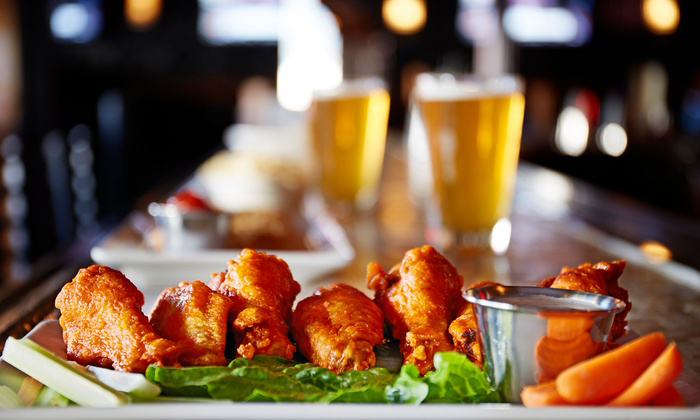 Enjoy Wings every Wednesday from 4 p.m. to sell out. Dine In Only. $7.99 for a dozen of wings. Enjoy these great flavors: Mountain Valley Original, Hot and Spicy, Garlic Parmesan (Spicy), Creamy Garlic Parmesan, Gooblis (creamy, garlic parmesan and hot sauce), Margarita (Spicy), BBQ, Honey BBQ, Lemon Pepper, Cajun, Mild, Honey Mustard, Kentucky Bourbon.